Student Affairs is looking to recognize exceptional students during the division’s annual Outstanding Student Life Awards held in spring. 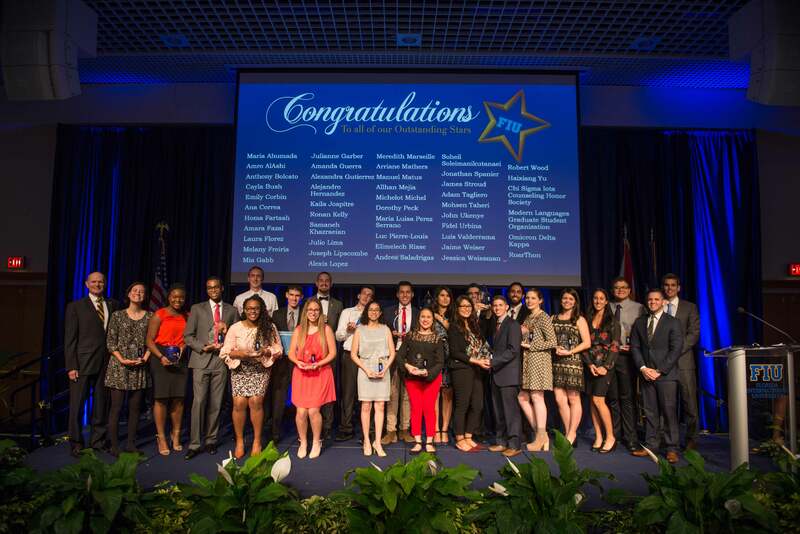 To nominate a student who serves as a source of pride and inspiration by giving unselfishly of themselves to make FIU a better place for the university community, click here. The nomination deadline is Monday, Jan. 29. Sponsored by the Division of Student Affairs, the Outstanding Student Life Awards is a unique opportunity for faculty, staff and students to recognize FIU student leaders who have excelled academically and in the areas of distinguished service to others, scholarship, innovation, leadership, diversity advancement and promotion of the Panther Spirit. Unlike other award ceremonies, the Outstanding Student Life Awards is the only one to honor students from every academic year and college. To view the award categories and criteria, click here. Complete this nomination form by Monday, Jan. 29. If you have any questions about the nomination process, email the Student Life Awards Committee at SLA@fiu.edu.